Make that dingy metal shine like it should! The magic of metal polish. Everybody knows that a good metal polish will bring old dull metal back to it's former glory with a little bit of elbow grease, but did you know that it will also make that new, dingy metal look like it just came from the chrome plater? 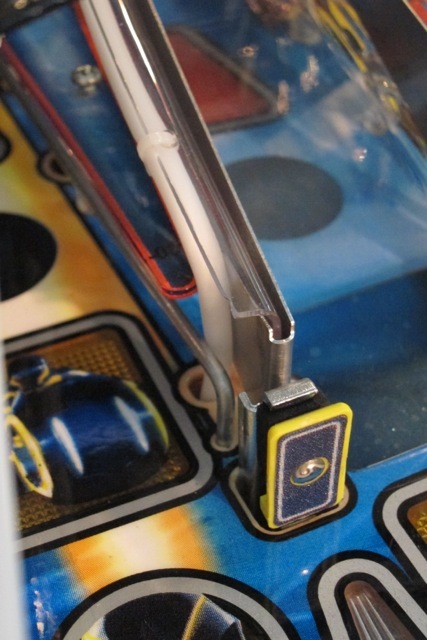 When Stern Pinball build their new games the use a low grade finish on the ball guides that they install. They probably think that no one will notice and it saves them a few buck in the process. That is fine for location games but games that are in our homes, our pride and joy, should be treated to look the absolute best that they can. Like an gorgeous new sports car coming off the line with dingy new wheels, it just looks bad! Some may not even notice but we, the enthusiast sure does. I will show you the simple 4-step process that will allow you to make your game really shine and take it from a 10 to a 10+, and yes, you can do the work without having to remove them from the playfield. All you need is some good metal polish, a rag and some elbow grease. 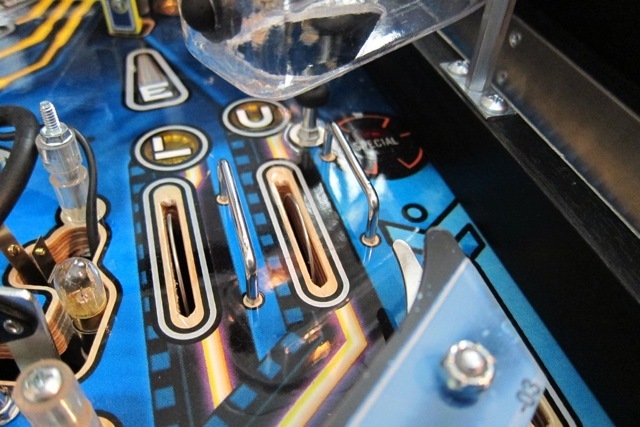 I will admit that to do a completely thorough job you may want to bring along some tools so that you can remove specific ramps and plastics depending on your particular game in order to get to those hard-to-reach places. I assure you that the end result will be worth it and when people come over to play your game the WILL notice. 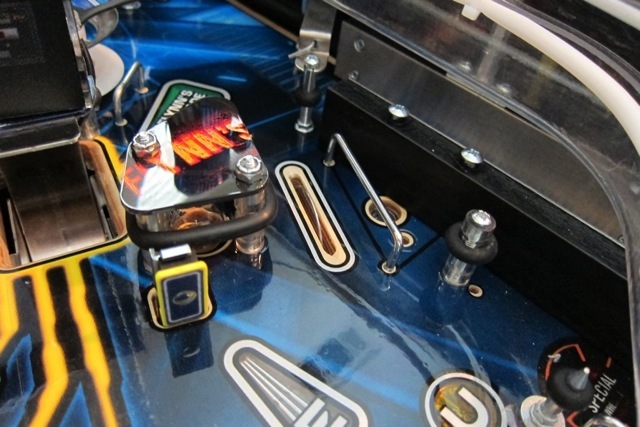 Here is a picture of an unpolished ball guide on Tron. Looks pretty dull. Let's take care of that! 1. The first thing you want to do is to remove any plastic, ramp or other object that is in the way of the item that you are going to be working on. 2. 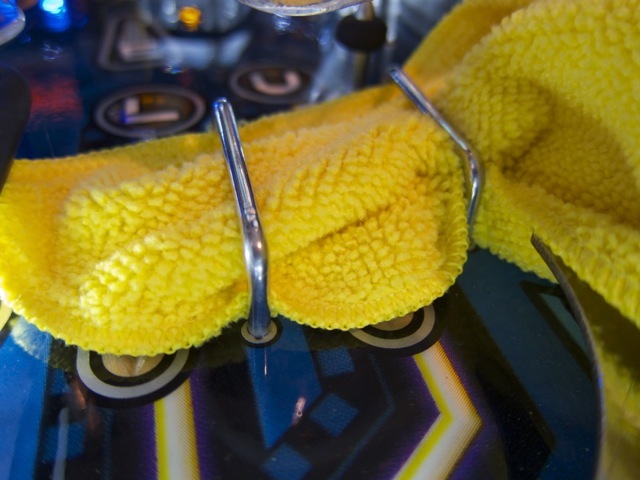 Next, put down a lint free rag onto the playfield surface to portect it from possible drips of metal polish. If you do drip some it is not a big deal, just gently wipe it off completely. 3. 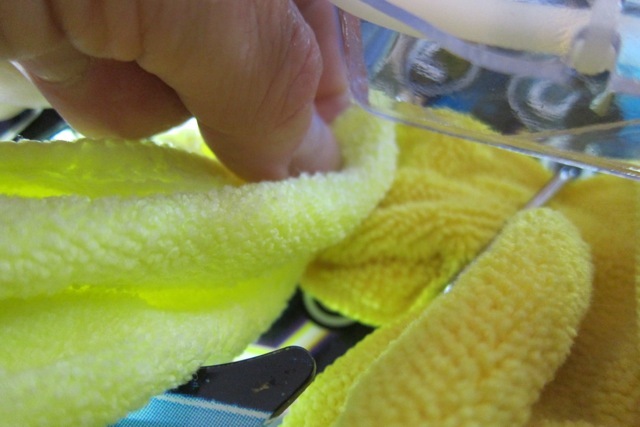 You will want to take a soft rag and put a small dot of polish metal onto the rag. 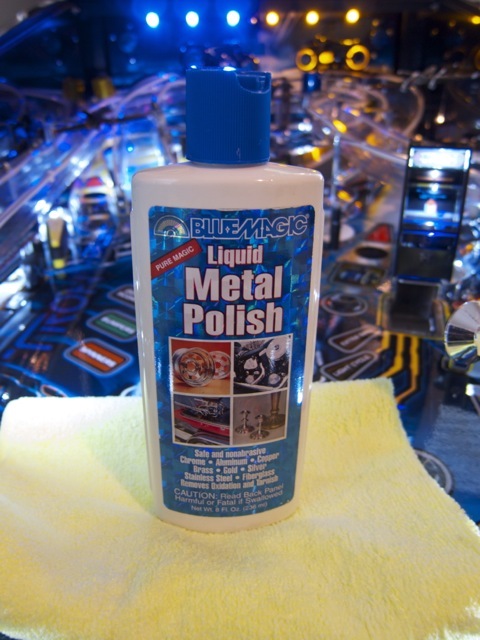 I like to use Blue Magic metal polish because it is thick and will not run on you. 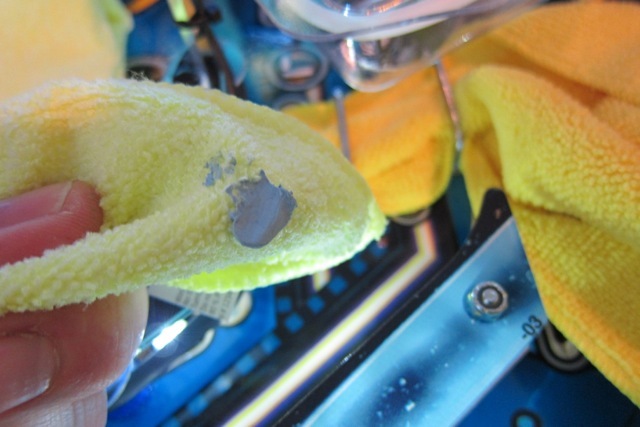 There's nothing worse having to deal with the mess of thin liquid polish all over your machine. 3. You will want to take a soft rag and put a small dot of polish onto stand then with your fingers wrap the rag and polish around the metal guide and polish it. The rag will quickly turn black and you will see the shiny polished finished left behind. 4. After you are done simply take a clean rag and buff off any excess polish left over, replace any pieces that you have removed and move onto the next piece. 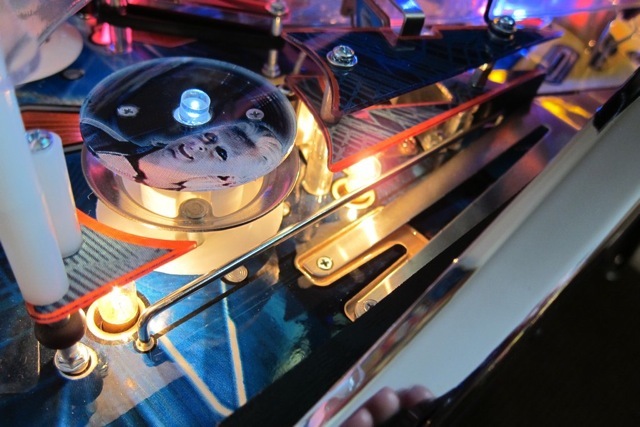 Take your time and work your way around the playfield. You will soon realize that there are a lot more little pieces of metal to polish that you thought but in the end it really is a quick and easy way to take your game to the next level of quality. In the end, for just a little bit of time you will improve the looks of your game appreciably and your game will also stand out and shine. you can purchase the items listed in this article directly below.